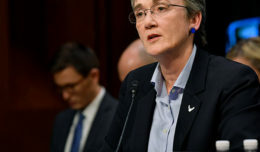 Heather Wilson, who graduated in 1982 from the U.S. Air Force Academy in Colorado Springs, Colo., has been nominated by President Donald J. Trump to become the next Secretary of the Air Force. 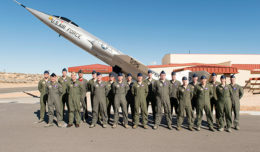 If confirmed by the U.S. Senate, Wilson will be the first Air Force academy graduate to become Secretary of the Air Force. Air Force cadets are pictured marching in formation at the academy during the Founder’s Day Parade in Colorado Springs, Colo., April 2, 2016. The parade is an annual event to celebrate the academy’s founding and heritage. Wilson is a graduate of the U.S. Air Force Academy, a Rhodes Scholar and a former U.S. congresswoman who represented New Mexico from 1998 to 2009. 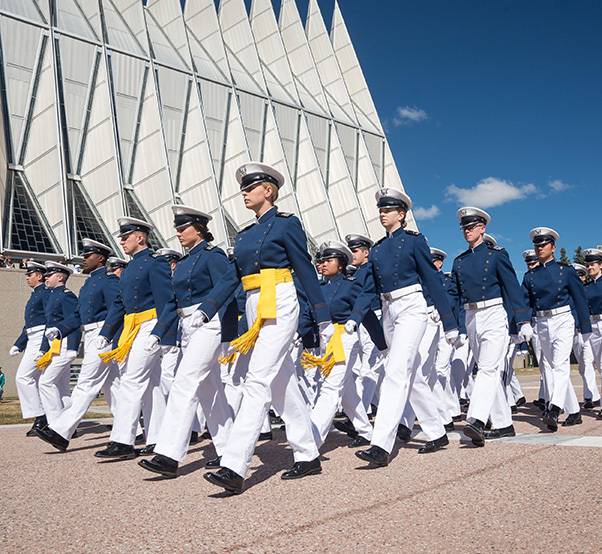 If confirmed by the U.S. Senate, Wilson will be the first Air Force academy graduate to become Secretary of the Air Force, the release said. If confirmed, Wilson would succeed former Air Force Secretary Deborah Lee James, who served as the 23rd Air Force secretary. Wilson would also be the third woman to become Air Force secretary. Sheila Widnall served as the 18th Air Force secretary from 1993 to 1997. Since 2013, Wilson has been president of the South Dakota School of Mines and Technology, an engineering and science university, the release said. In her position at the university, Wilson has grown enrollment and increased research while earning a reputation as a sound financial manager and accessible leader, the release added. As a U.S. representative, Wilson served as a senior member of the House Energy and Commerce Committee, and chaired the House Subcommittee on Technical and Tactical Intelligence, according to the release. She also served on the House Armed Services Committee. Before being elected to the Congress, Wilson ran a large state government agency in New Mexico, according to the release. Wilson grew up in Keene, N.H., and was in the third class to include women at the Air Force academy in Colorado Springs, Colo. She graduated in 1982. She earned master’s and doctoral degrees as a Rhodes Scholar at Oxford University in England. She served as an Air Force officer in Europe during the Cold War and on the National Security Council Staff under President George H.W. Bush during the fall of the Berlin Wall and the collapse of the Warsaw Pact.